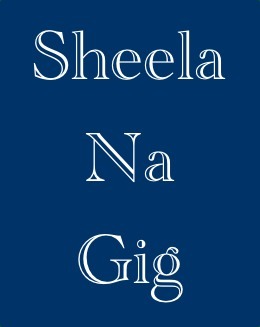 Welcome to my micro-site for sheela-na-gigs. As with the green man site it is not a comprehensive listing but a collection of photographs and comments on the sheelas I have visited. The mystery surrounding sheela-na-gigs is probably even more murky than that of the green man. Theories abound as to her origins, meanings and even what constitutes a sheela, there isn't even an agreement on where the name originates or what it means. For my part I have included some photographs that are 'possible' sheelas and some that are definitely not but are exhibitionist. I hope you enjoy your visit and please contact me if you wish to make a comment or have a query.